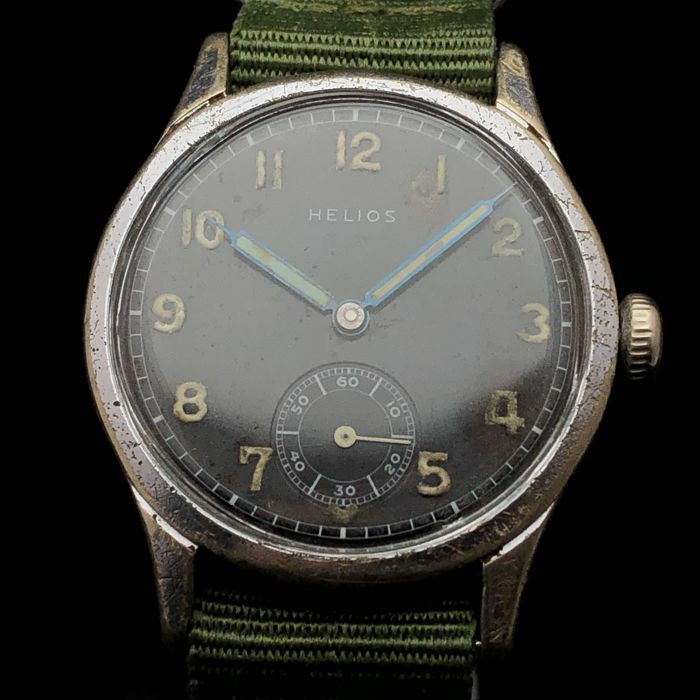 Special German military WWII round Helios watch. 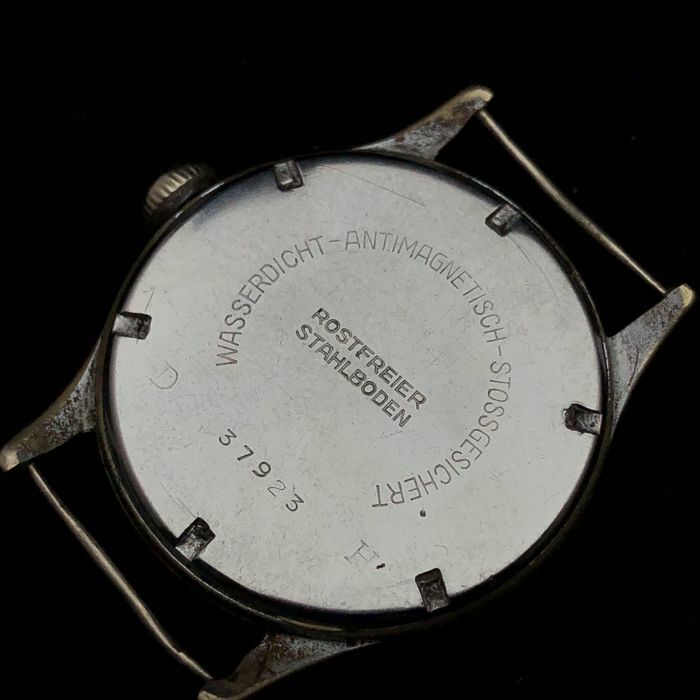 This historical watch was made by the German "Wehrmacht" during the Second World War. 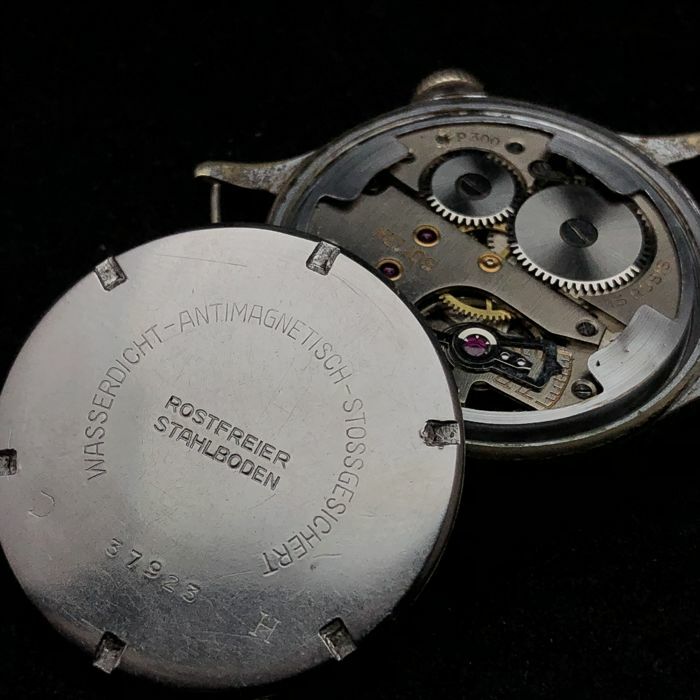 This is evident from the "D.H." engraving on the case back. 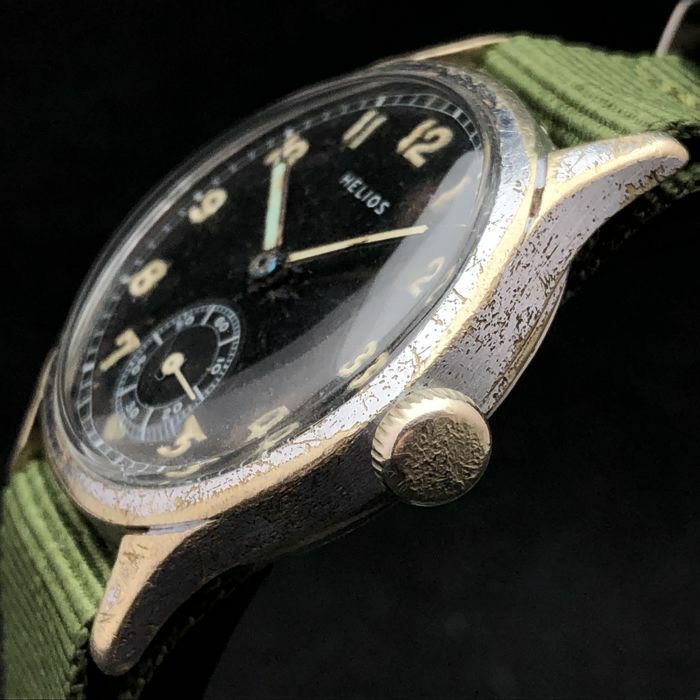 DH is an abbreviation for "Dienstuhr Heer" (army service watch). 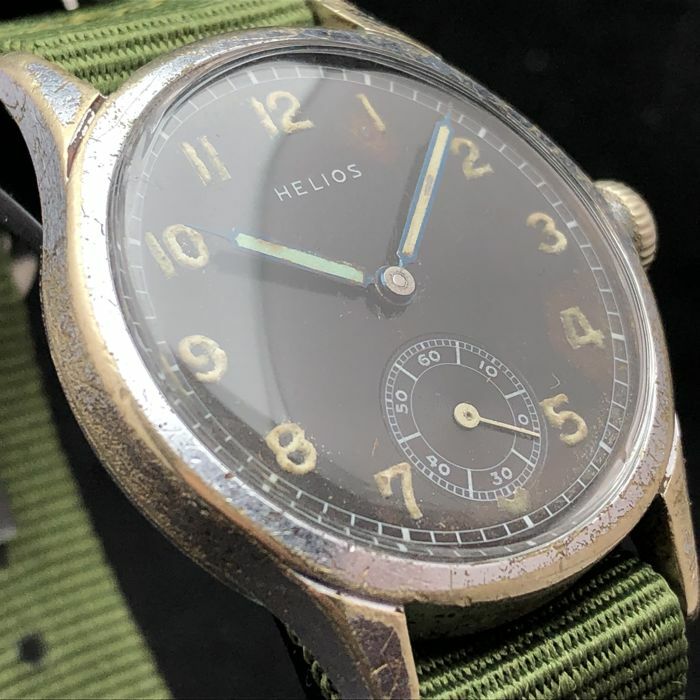 Due to the army setting high standards for the watches, some of these watches, including this piece, are in clean condition. 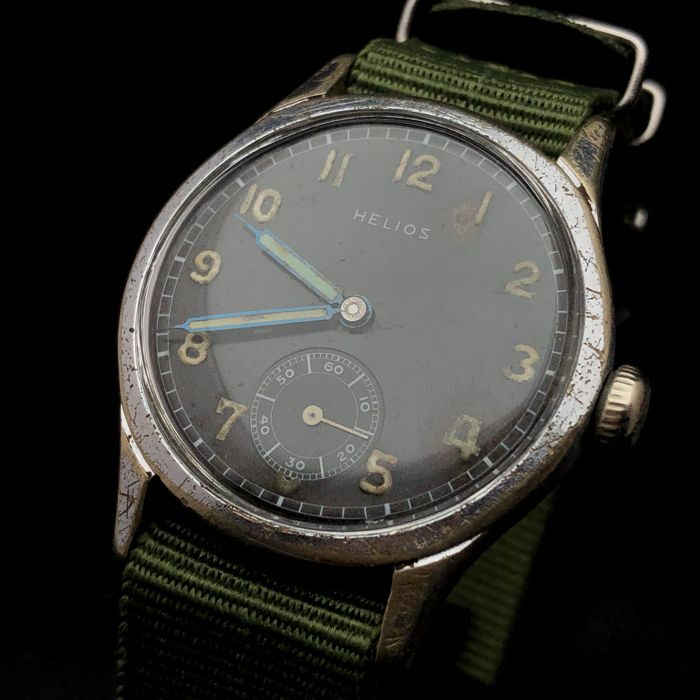 The original case and crown have lost some of their chrome plating, just like any military Helios. 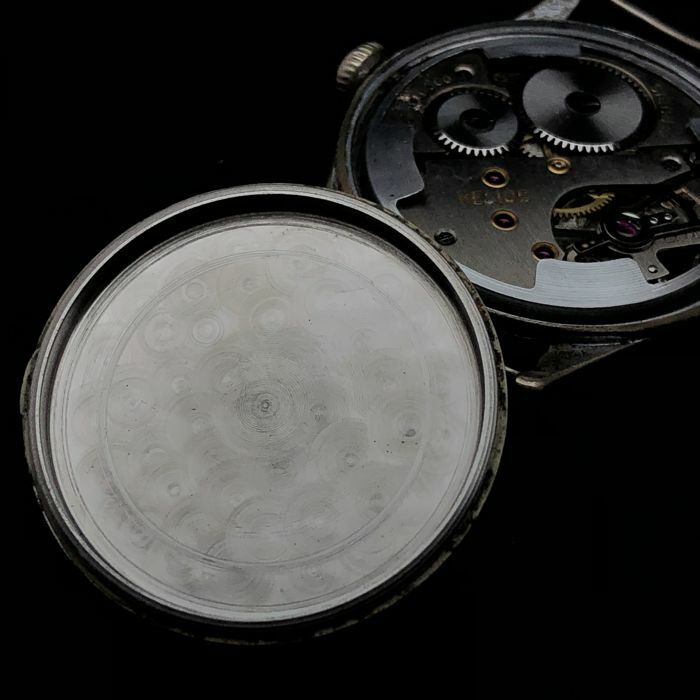 The stainless steel case back still looks good. 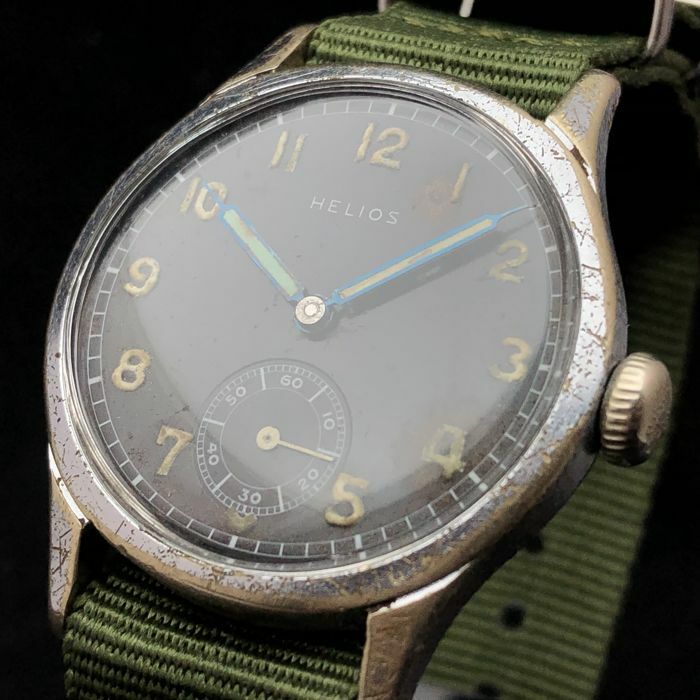 The dial is in good condition despite the age of the watch. The hands are equipped with the original lumen. The hands appear to not have been refurbished. 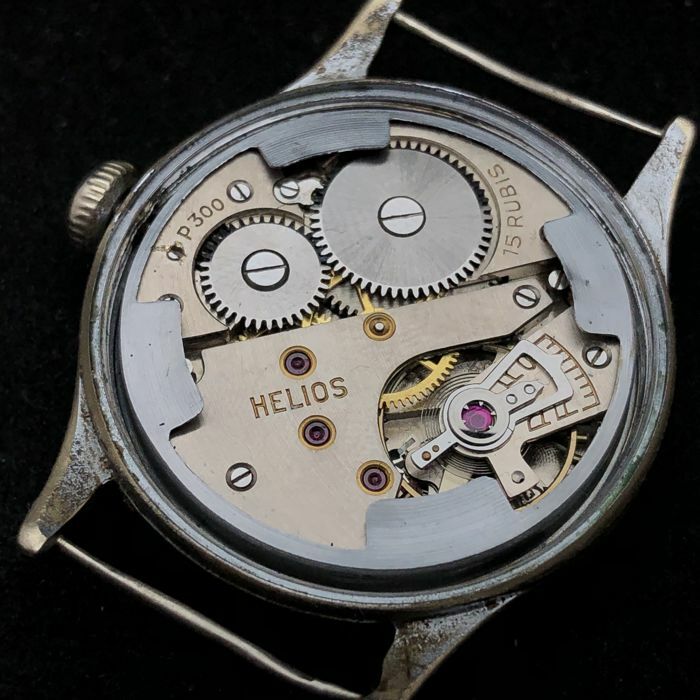 The movement of the Helios appears to be clean. The diameter including crown is 37 mm, excluding crown is 34 mm. 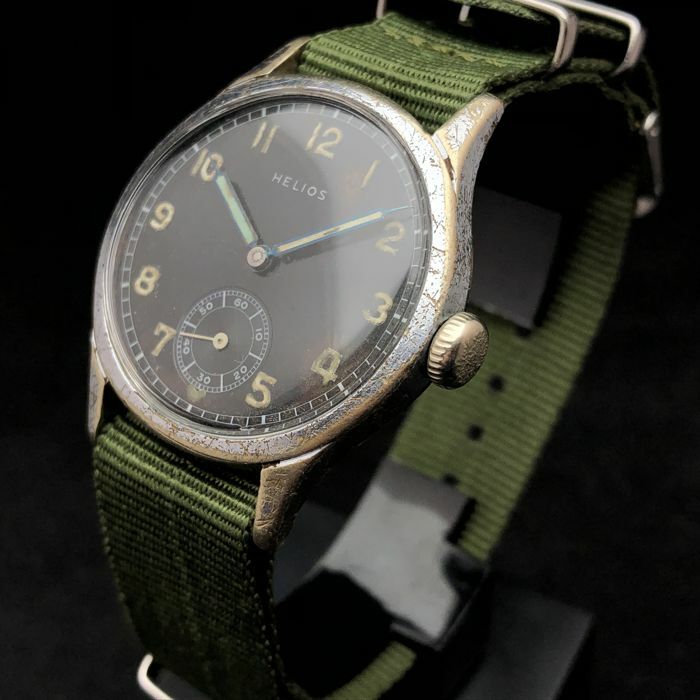 The watch weighs 39 grams. 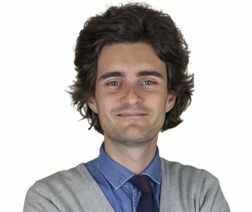 The watch will be sent well-packaged by insured parcel service. Vous pouvez également retirer ce lot chez le vendeur: Amsterdam (Noord-Holland), Pays-Bas.